Back to Vegas. It was time for dinner and a show. 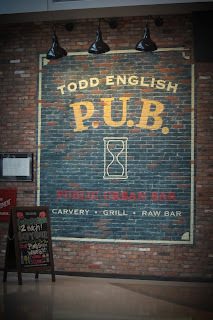 We didn't want to go far, so we decided to try out the Todd English P.U.B. in the Crystals Mall next door. We have a Todd English's Tuscany restaurant back home that's fantastic, so we figured the P.U.B. would be just as good. Well, we figured right. 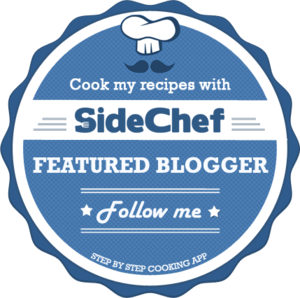 While my husband has some sliders, I wanted to try something different. 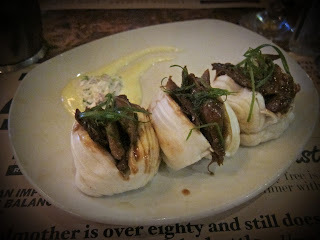 I ordered the Duck Buns - shredded duck, hoisin sauce, and chopped scallions on soft buns. WOW! is my one word to describe these delightful little bites. 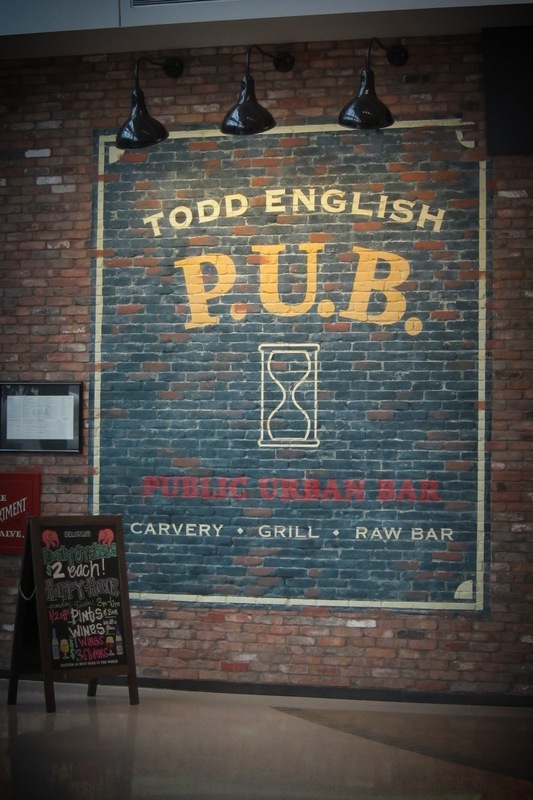 Todd English does it again. I ate duck for the first time last year and really liked. These little duckling makes me like it even more. They were finger lickin' good. After we finished our beer it was off to the show. We took a cab to the MGM Grand. 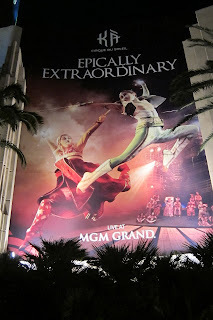 That night we saw Ka, a Cirque du Soleil production. It was fantabulous, amazing, and so creatively choreographed. The first time we came to Vegas, we had seen "O" and thought it was a phenomenal show. Tonight's show was just as great. Cirque du Soleil knows how to entertain and amaze you. Some of the feats were just unbelievable. Of course when we got back to the Aria after the show, Jean Philippe's was closed. I had to settle for dessert at Cafe Vettro, the 24hr diner. Chocolate cake with creme fraiche. The service sucked. The place was mostly empty, but it took forever for us to get our order. What a surprise it was that the cake was actually delicious and the creme fraiche, actually tasted fresh. But we still wouldn't go there again. Well, tomorrow is another day.